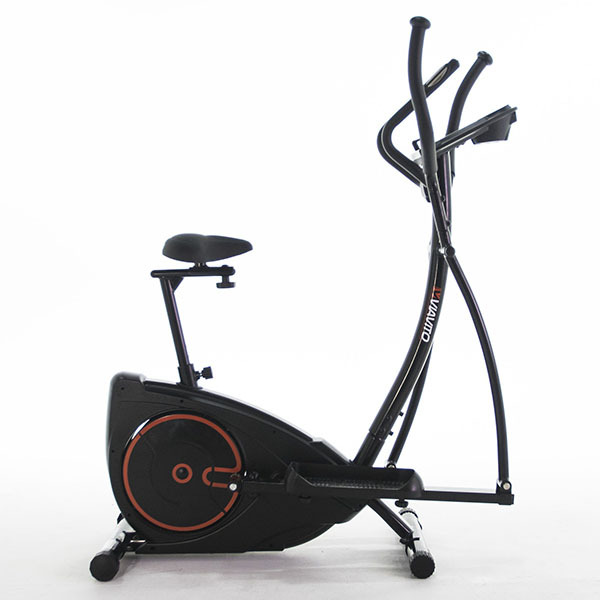 Since way back in the 1990’s, Dyaco International Inc has been renowned as one of the world’s most respected leaders in the design, manufacture, and distribution of home and commercial fitness equipment. Since 2009 a new addition to the Dyaco family has emerged in the form of the Xterra brand. 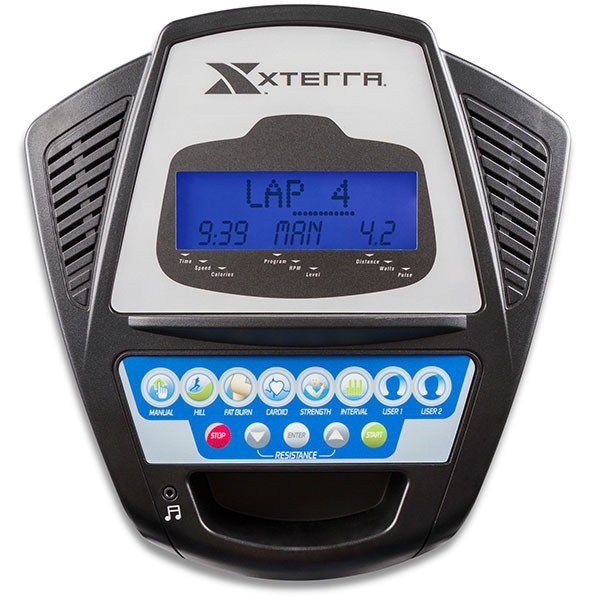 After growing in popularity in the States, the Xterra ranges are at long last making their way across to the UK, so we were eager to check out their FS4.0e Elliptical as soon as we could get our mitts on it! First job was to get it out of the box and assembled. Fortunately, the bulk of the machine is already in one, large pre-assembled unit so the remaining tasks are sequenced into 4 fairly manageable steps. Basically, you’ll need to attach the console mast and console… bolt on the swing arms… connect the crank arms and rear guide rails and finally screw on the plastic covers. The whole unit weighs 155lbs (just over 11 stone) so it will take 2 able people to manoeuvre the machine around during the build. Perhaps the hardest part of the whole process is trying to make out what goes where from the tiny instructional diagrams. The illustrations are frustratingly small with no ‘exploded’ images to help, but they are thankfully combined with fairly thorough text explanations with codes for all the corresponding parts. 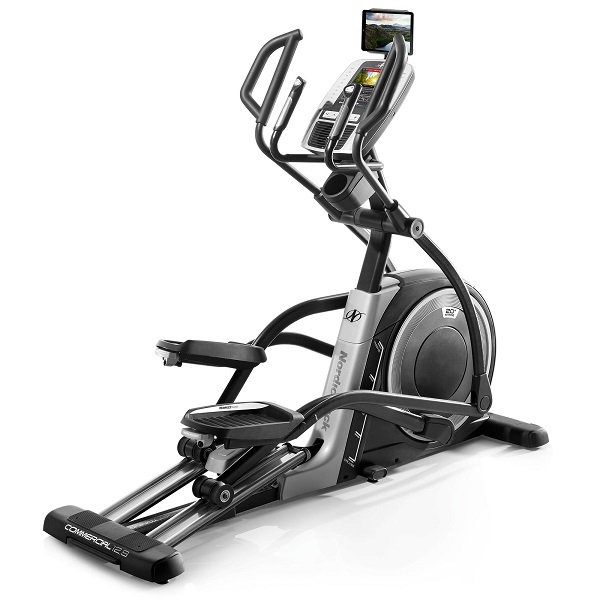 Once the machine is built, it’s a great looking machine that is remarkably compact for a front drive elliptical. Measuring only 5 feet in length, the FS4.0e should integrate well into average sized homes, and look great doing it! The matt black finish with a few touches of silver, give it a look of understated quality that should appeal to most people – after all, can you really go wrong with black? 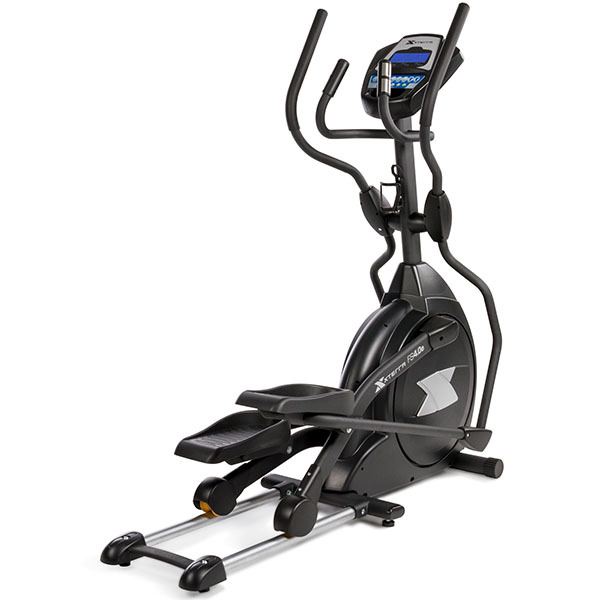 Statistically it’s the most popular colour choice for domestic fitness equipment so the all black Xterra range of ellipticals should please the majority. 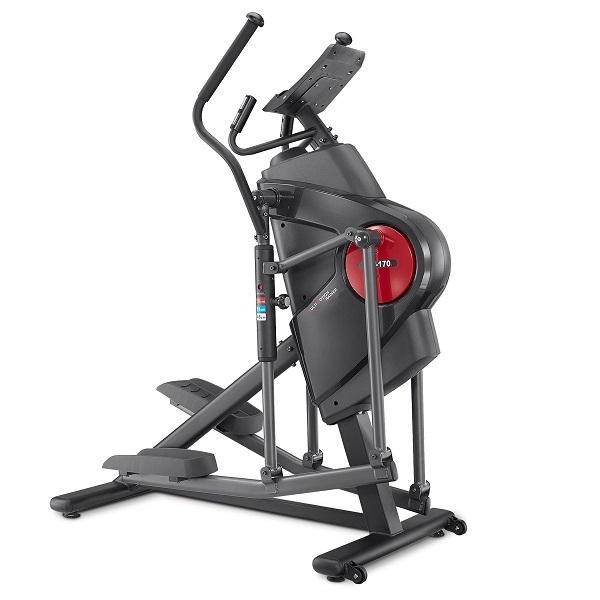 We found the FS4.0e to be very well constructed and capable of coping with users up to the 325lb (just over 23 stone or 147kg). When you climb aboard, there is a reassuring feeling of solid, unshakeable durability, which results in hardly any noticeable ‘flex’ or wobble in use; plus, the stability is matched by a wonderfully smooth ride. The bio-mechanics of the design are superb for a machine at this price point and certainly show the ‘Dyaco’ expertise in design and engineering. The space between the pedals (The Q-factor) measures 3.5″ and there is a 2 degree inward slope to the pedals aligning the legs and hips in a very natural position during training. 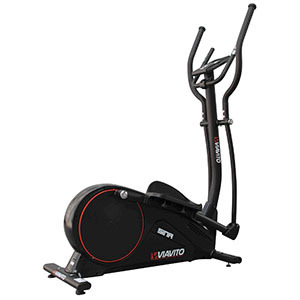 All that combines with a meaty 21 lb flywheel, and the result is a delightfully smooth elliptical motion throughout the 18″ stride length. 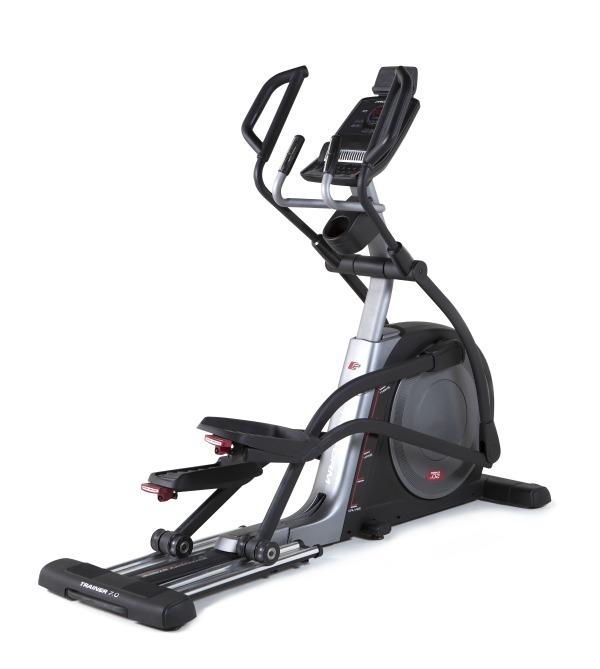 This model has 20 levels of computer controlled magnetic resistance with a maximum tension that should be adequate for most users, although we wouldn’t suggest that there is enough resistance to really challenge ‘Xterra’ triathletes! That said, for short bursts during interval training, the top settings may seem a touch weak, but for prolonged endurance training, it should be ideal. 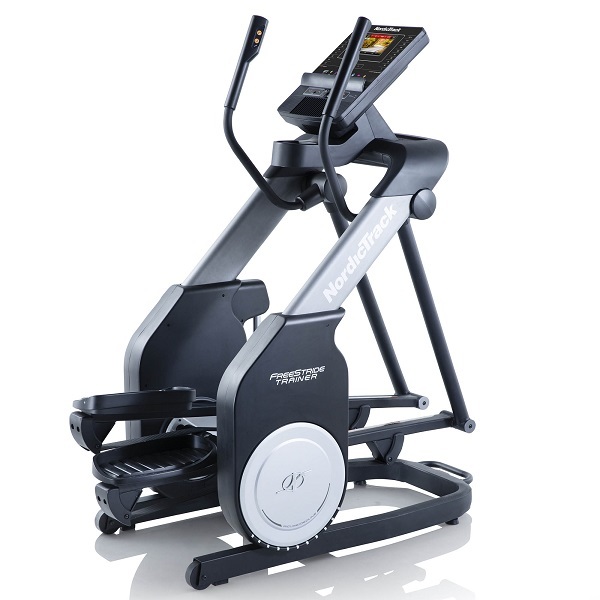 Although there are certainly cross trainers that offer more in the way of resistance, when it comes to comfort and injury prevention on the joints, the FS4.0e is truly outstanding. 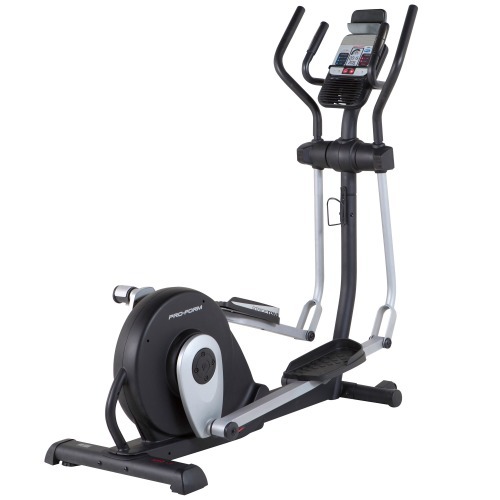 Manual…Hill…Fat Burn…Cardio…Strength and Interval options as the basic selection, but unfortunately, there is no provision for Heart Rate controlled programs and sadly no inbuilt receiver for wireless monitoring (Although it does have pulse grip sensors on the static handles). Thankfully, there are 2 user-defined programs so it’s possible to create and store custom workouts and change them whenever you fancy a new challenge. All of the programs can be adjusted in duration from a minimum of 10 minutes up to 99 minutes and you can alter the max resistance level too. 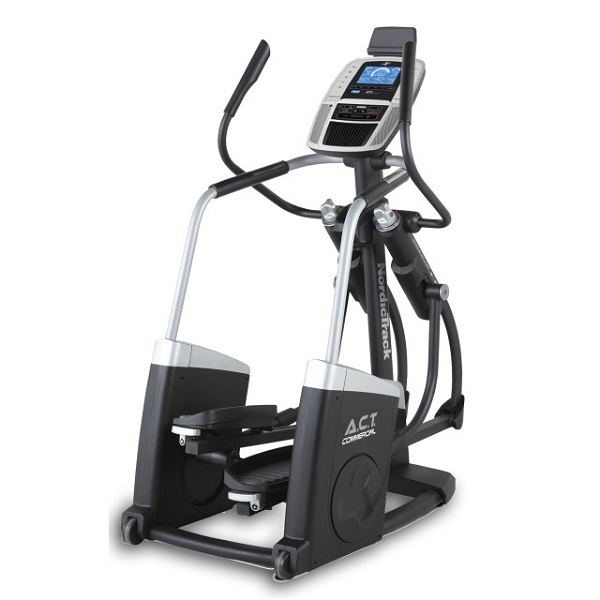 It’s possible to jump straight into the action by bypassing any set-up adjustments or for more accurate calorie consumption figures you can enter your weight and age during set up (to save time, these values will be stored as the new default for the next time you use the machine). The ‘4.0’ certainly isn’t an all ‘bells and whistles’ type of machine although it does come with a rather nice Xterra water bottle and holder! Perhaps the best ‘extra’ to mention is the inbuilt speaker system located discretely on either edge of the console. We connected an MP3 player into the audio jack and were pleasantly surprised by the sound quality produced by the tiny speakers. The volume was rather limited but that is preferable to many other systems that distort at top end anyway. Plus unlike some other models, the FS4.0e is SO whisper quiet in use that you won’t need a to crank up the volume to drown out machine noise. 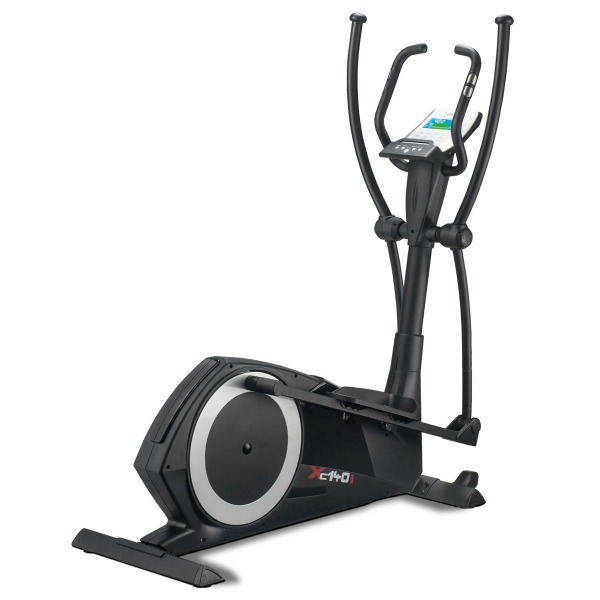 This Xterra elliptical trainer seems to have been designed and constructed to the similar exacting standards that have brought success and popularity other Dyaco products. Similarly, the ‘4.0’ lacks a lot of the technological innovations of some other manufacturers (there’s no internet connectivity, additional program downloads etc), but that is also in keeping with the Dyaco tradition of focusing on performance functionality rather than motivational technology. Bearing the same title as one of the toughest outdoor triathlon events in the world, it’s really no surprise that an Xterra machine is built for the self-motivated athlete, so the objective has been to create a durable, affordable machine that performs with bio-mechanical precision. If those qualities appeal to you and suite your training ethos, then the Xterra FS4.0e is a great choice. The Xterra Free Style 4.0e is not currently available from any retailers we're aware of in the UK.